THREE YEARS AFTER it brewed its first barrel of beer, the Ore Dock Brewing Company is, for the first time, selling its brew outside of Marquette County. Time to start expanding, according to Ore Dock owner Andrea Pernsteiner, but on a limited and controlled basis. The Ore Dock over the next few weeks will be distributing its draft beer to about a dozen bars and restaurants in Baraga, Houghton, and Keweenaw Counties. Alger County will follow in another month or two. Ore Dock bottles are still being sold only in Marquette County stores, but that, too, will change in the years–if not the months–ahead. The key will be first determining the demand for the beer and then increasing the productivity and efficiency of the brewing process. The brewers had been working one shift; now they’re working two. Current capacity is 2,500 barrels a year. That could conceivably be expanded to 4,000. 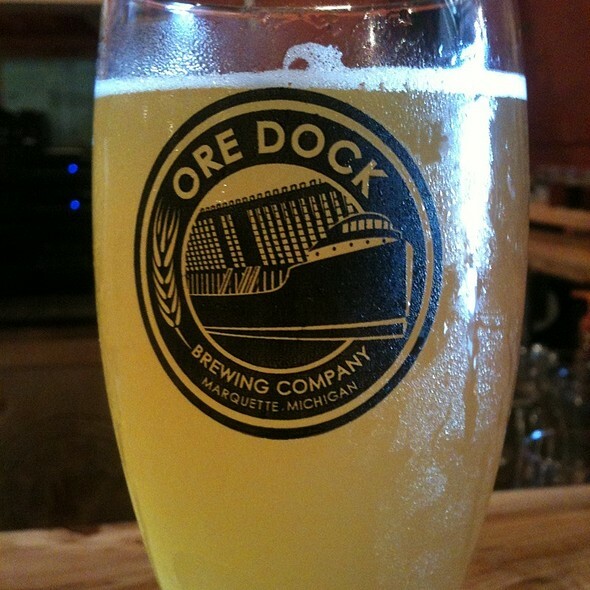 Eventually, Pernsteiner says, Ore Dock will cover the entire Upper Peninsula and then become a regional beer, following much the same path as Blackrocks, one of Marquette’s other microbreweries. A remarkable success for both homegrown breweries, which have discovered a way to be popular, profitable, and proudly involved with their community. 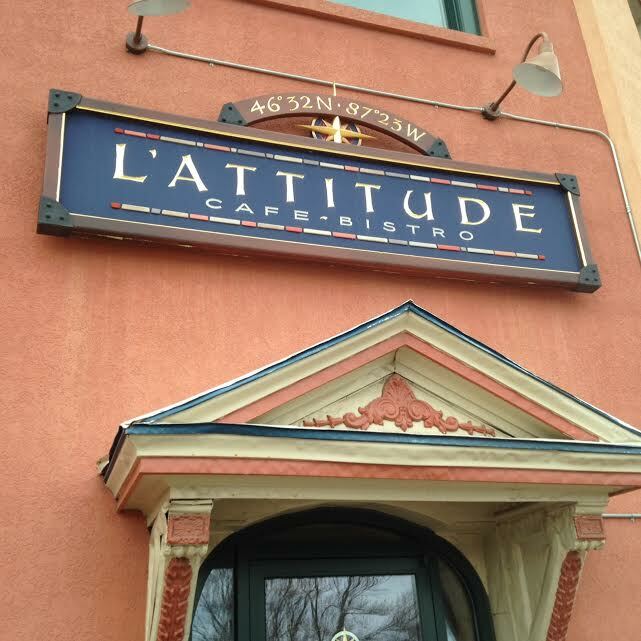 THOSE BIG CHANGES at L’Attitude–new name, new signs, new TV’s, new furnishings, new overall atmosphere–have been put on hold. Not because of second thoughts or lack of money. No, they’re being delayed because the two partners at L’Attitude, Joe Constance and Jill Hayes, have decided to buy the space from the landlord, Steve Nagelkirk. A big decision. They have a purchase agreement in place. It’ll likely take a few months to complete the deal. Nagelkirk, for his part, is glad to divest himself of the restaurant/bar. He was a fish out of water. He’s a landscaping and nursery guy and now operates Nagelkirk (the former Meisters) in Harvey. When the deal goes through, L’Attitude will be renamed Iron Bay Restaurant and Drinkery and will have more of an historical feel–with photos and artifacts–while still offering food and drinks (and a fireplace) to customers feasting their eyes on the Lower Harbor. 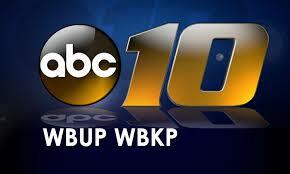 SPEAKING OF CHANGES, ABC 10 recently doubled its news programming in the early evening. Doubled. With no increase in staff. Crazy. 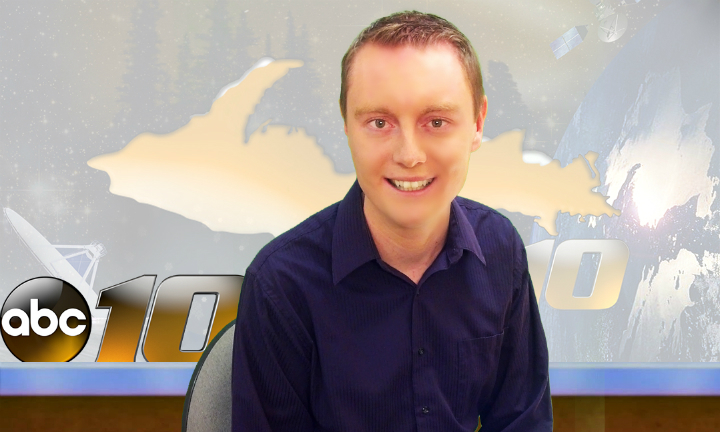 The newscast had aired from 5:30 to 6 pm, followed by a syndicated show at 6 pm, and then ABC network news at 6:30. But the network said “You know, fellas, we’d really like to have local news run just prior to network news.” That’s the norm in news programming because it provides better audience flow. And they’re doing it. Looks pretty damn good. Sure, many of the stories are repeated, but in different forms, and the fact is, audiences change every 20 minutes or so. Taylor’s full-time news staff totals eight (one third the size of TV6’s). Together, these eight fill a half hour of news five times a day…at 6:30 am, 5:30 pm, 6 pm, 10 pm, and 11 pm. While maintaining an active website. Whew. Taylor admits he and his colleagues arrive home a little weary these days..
WELL, MAYBE NEWSPAPERS aren’t dying just yet. They’re adapting. The New York Times just announced that they now have one million paying subscribers for their online newspaper. The most ever, and as far as we can tell, the most in the world, and the numbers continue to grow. Maybe “paywalls” can work if you offer online customers a product they want. Locally, Mining Journal publisher Jim Reevs says his newspaper’s online numbers have continued to grow steadily ever since they erected a paywall in June of 2014. 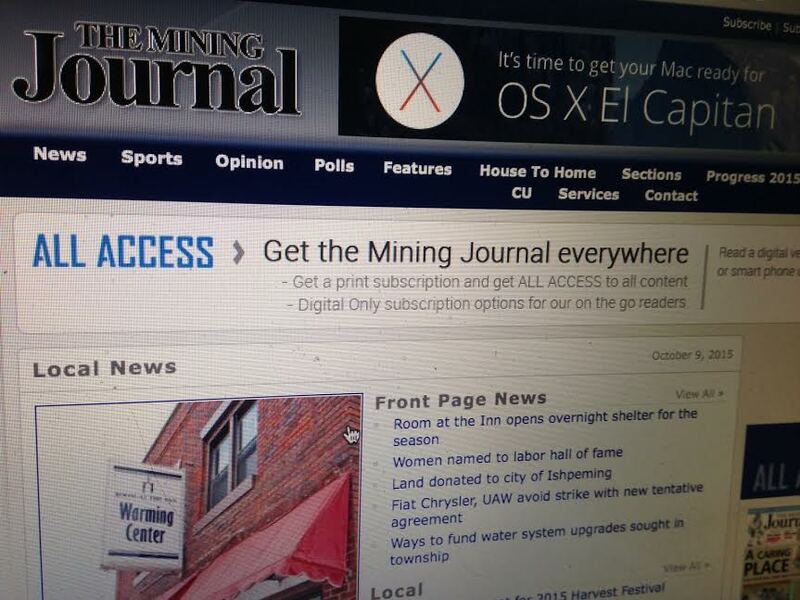 Not huge numbers, but paid online subscribers for the Mining Journal are in the hundreds. Not bad for a small-town newspaper serving a county of 65,000 or so, along with some folks in the adjacent counties. The online subscriptions are helping to partially compensate for the declining circulation of the paper copies. Initially, there was resistance to the paywall–“I’ll never pay for that damn paper!”–but Reevs says he hears no complaints now. Residents and former residents are willing to pay for a good and reliable online product. HERE’S SOMETHING TO root for, patronize, and appreciate: Shakespeare in Marquette. How many towns of 21,000 can boast that they have a Shakespeare company? We do. It’s the Upper Peninsula Shakespeare Festival. Their next show is Macbeth. They’ll perform it at the Ore Dock Brewery October 18, 21, 25, and 28 at 7:30. A cast of 13. This is serious stuff in an intimate venue. They performed The Tempest outside at Presque Isle in July to great reviews. Ya gotta believe that Macbeth at the Ore Dock will be a night to remember. ONE OF MARQUETTE’S little treasures is getting some recognition. 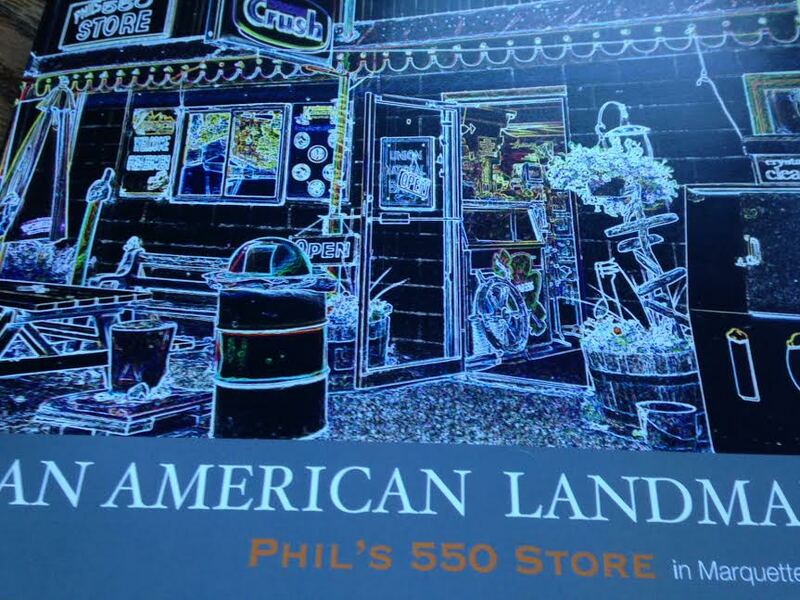 Phil’s 550, the iconic general store/convenience store on the road to Sugarloaf and Big Bay, has now been immortalized in An American Landmark…Phil’s 550 Store. 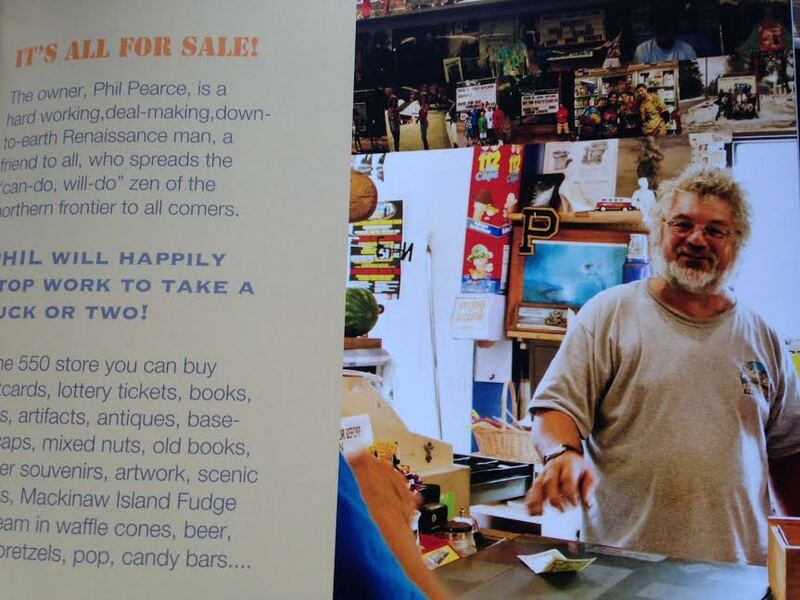 It’s a little book chockfull of beautiful color pictures and a text that captures the essence of Phil and his store. The book was written and photographed by Phyllis Berg-Pigorsch, a filmmaker who’s a neighbor and customer of the store. Phil’s feeling a bit sheepish about the book. “It’s kind of narcissistic, isn’t it?” he says.